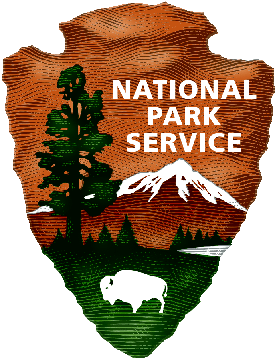 Bates’ career with the National Park Service began in the early 1930s when he worked as a foreman for a Civilian Conservation Corps (CCC) construction crew around Santa Fe, New Mexico. After taking the park ranger exam in 1937, Bates accepted an entry-level position at Saguaro National Monument. However, two days before he was to start, the superintendent at Organ Pipe Cactus National Monument was pulled into the army and Bates was awarded the job of “acting custodian” (what would now be “acting superintendent”) at Organ Pipe. After service in the Army in the early 1940s, Bates was appointed Custodian of El Morro National Monument from 1946 through 1949 when he was transferred to Arches and Natural Bridges National Monuments. Ironically, Bates started his career as a Superintendent and never worked as a ranger. Bates Wilson served as superintendent of Arches and Natural Bridges National Monument from 1949 to 1972. He could most often be found outside. Driving between the two parks – drawn to the vast “land in between” – he dedicated countless hours to exploring and mapping its diverse geology. During that time, he advocated for the creation of a National Park in the area that is now Canyonlands. Bates led government officials on jeep tours featuring lengthy talks over campfires and hearty dutch oven dinners. Secretary of the Interior Stewart Udall joined one of these tours in 1961 and began lobbying Congress for the proposed park. Bates retired from the National Park Service in 1972 but remained close to Canyonlands. 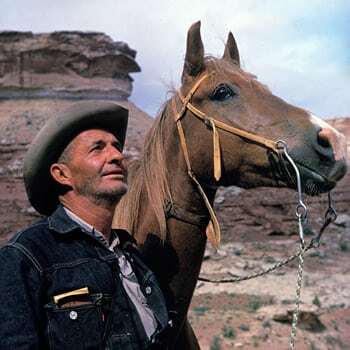 He maintained a ranch in Professor Valley, just 20 miles north of Moab, and served as chairman of Canyonlands Natural History Association until his death in 1983. That the park visitor experience a strong personal connection with the land, as he did. That exploration and education opportunities abound at the Parks. Bates never went anywhere without trying to learn more and explore further. That these extraordinary public lands are preserved forever. He recognized that wild places are vital for us, our children, and for their children. That the youth of today are the leaders of tomorrow. Bates influenced many young people as they explored the Parks with him, forming their own connections to the land. Read more about Bates Wilson’s career with the National Park Service on the Canyonlands National Park website. The Friends of Arches and Canyonlands Parks continues the legacy of Bates Wilson.